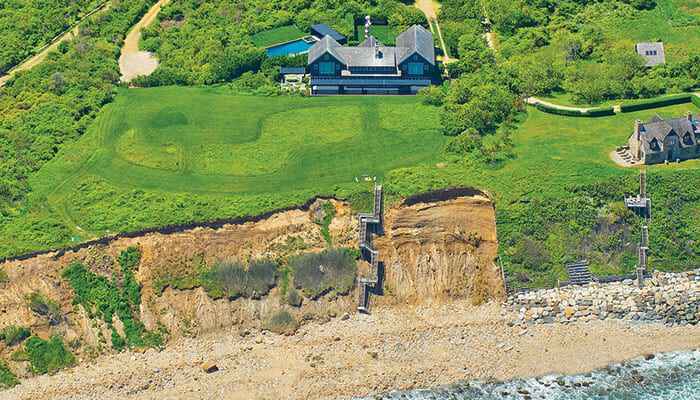 If you’ve got $25 million laying around, you might considering purchasing the 6-acre oceanfront property that art collector Adam Lindemann just put up for sale. Lindemann also has the famous Eothen estate — which pop artist Andy Warhol called home — in his real estate portfolio. The compound consists of two properties: a 2.8-acre empty lot and a 3.1-acre parcel with a mansion spanning 7,500 square feet. The six-bedroom house was renovated by Sir David Adjaye and is being sold with all the furnishings included. Designer Bob Melet is responsible for the stylish interiors. Between 2007 and 2008, Lindemann spent $21.5 million for the two properties, but that’s not including the cost of renovations, design, and recruiting landscape architect Miranda Brooks to complete the exterior. The main house has been on the market before, but it looks like this is the first time that both pieces are being offered together as a compound. 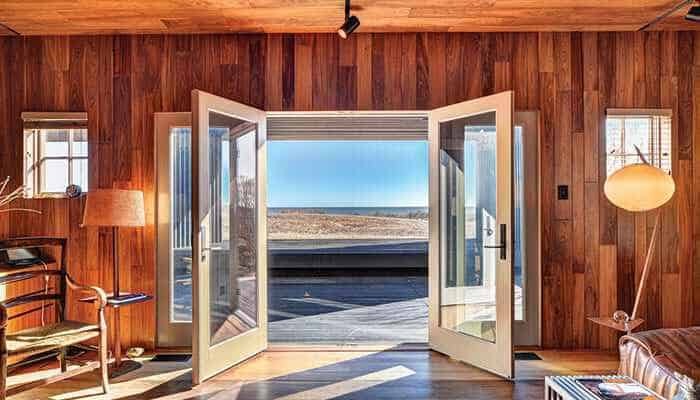 The Corcoran listing affirms that permits are in place to build a guest house and a separate staircase leading down to the beach on the empty lot.